An immaculate gated home located in a prime Sherman Oaks location! 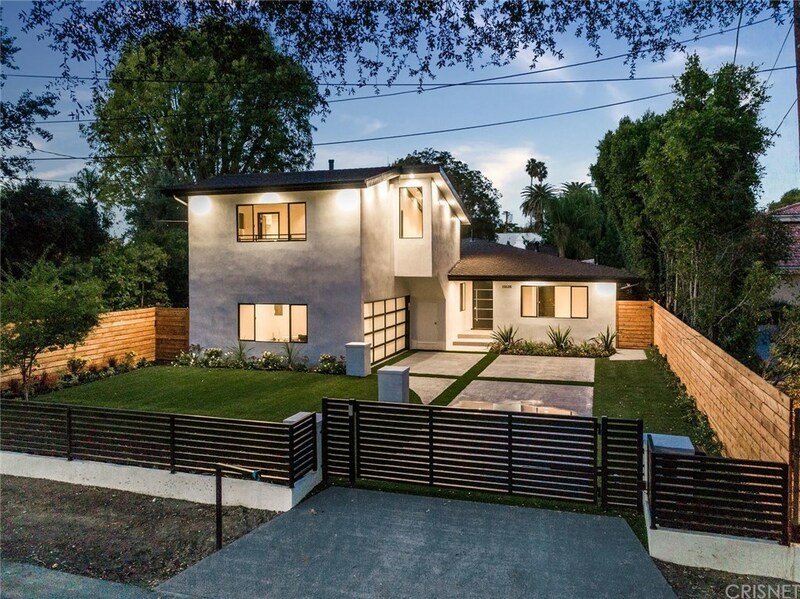 This four bedroom, four and a half bathroom home is completely remodeled with incredible curb appeal and a modern contemporary design. With a multitude of updated features and an open floor plan, this house is ideal for any family. As you enter the home, the entire living space downstairs is open and bright. Boasting a European chef's style kitchen with custom cabinets, large center island, quartz counter-tops, and stainless steel appliances. With natural light and an open concept living space, this home is ideal for entertaining. Among the many amenities, this luxurious home offers a master bedroom with a beautiful bathroom featuring dual vanities, shower, tub and a large walk-in closet. Additionally, there are three other en-suite bedrooms with stunning bathrooms in each. Other features include engineered wood floors throughout, a modern wine rack, recessed LED lights, dual pane windows, nest thermostats and smart home light switches. The large sliding doors in the family room lead to the ultimate entertainer's backyard featuring a brand new pool and jacuzzi. Close to many shops, restaurants, grocery stores and easy freeway access. This home is a must see!